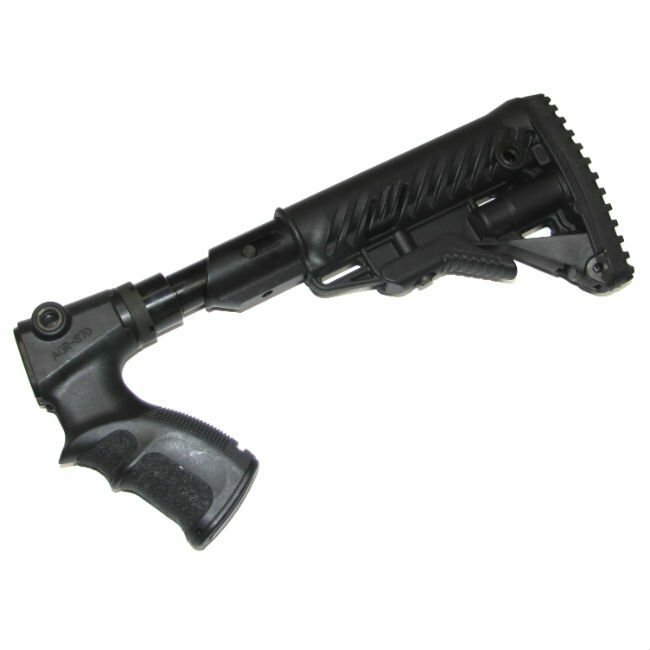 Rugged, high quality, recoil reducing M4 style collapsible stock for all Remington 870 style shotguns. 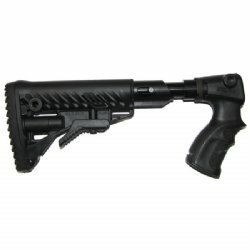 Take your Remington 870 to an optimal tactical level. With our AGR 870 FK SB M4 Shock Absorbing Collapsible Buttstock you get to enhance both performance and versatility. Clever recoil reducing design. Includes numerous traditional and quick detach sling mounts and a water tight storage compartment can be found under the buttpad. Durable Construction designed to survive the most hard-use situations. When using the Shock Absorbing Buttstock System, it is strictly prohibited to place any body parts on top or above the exposed part of the shock absorbing tube (with an emphasis on the shooter’s cheek). 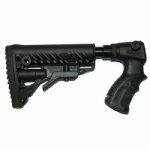 Length (open / deployed): 13.78"